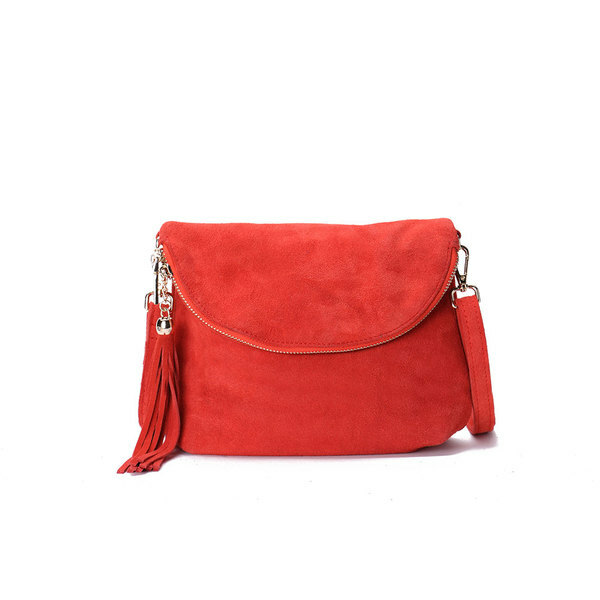 This is a small rectangular style leather bag and is very simplistic in design and look. 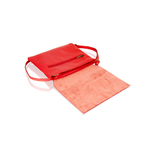 The front of the bag has soft flap which is raw lined with the back of the leather. 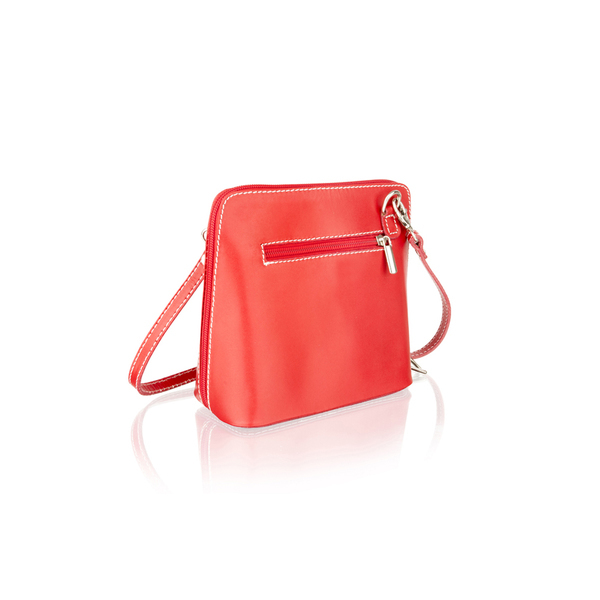 There is an adjustable thin strap attached to this bag. 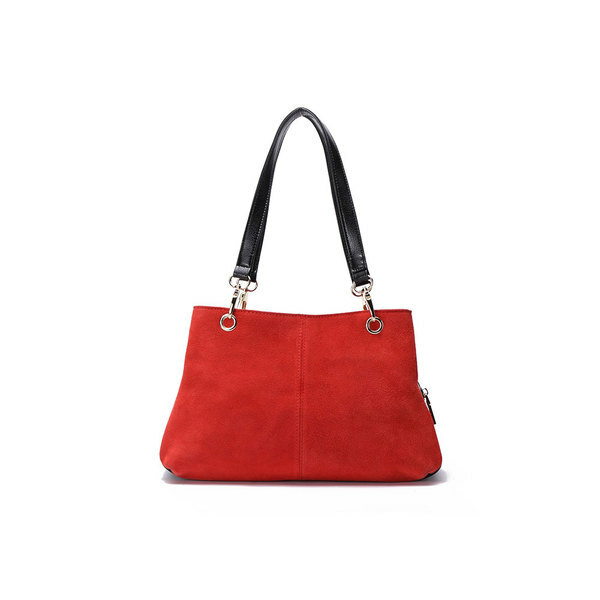 The front of this bag has a horizontal zip front pocket and the zip pulley is in a bronze metal. The inside of the bag is cotton/polyester lined and there is a zip front pocket inside. The rear of the bag also features a horizontal zip pocket with a bronze metal pulley. The leather is smooth and of high quality being made in Italy and of course Vera Pelle which means real leather. 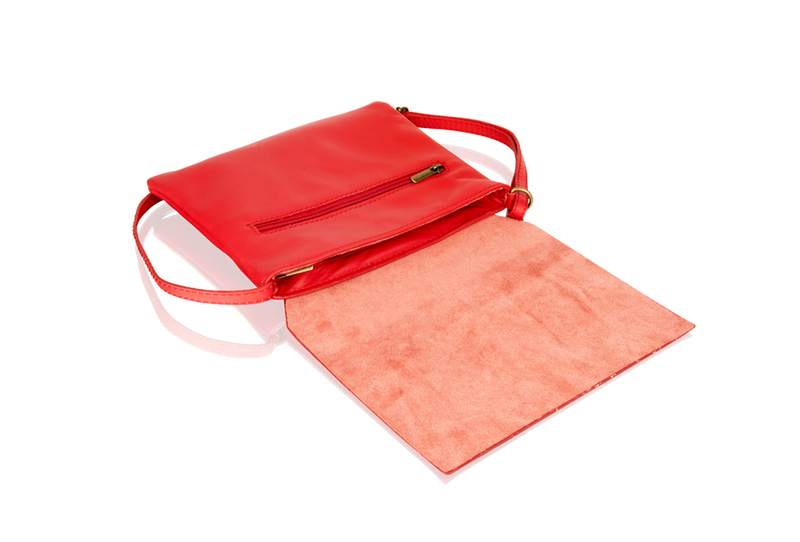 The bag features matching colour stitching throughout.